Ceramic coatings offer better protection than waxes or sealants, hands down. Ceramic coatings last much longer than waxes and sealants (multiple years). Ceramic coatings repel dirt and water like nothing else, which makes them easier to clean. Their hardness also helps to prevent swirl marks and marring from washing. Ceramic coatings give you peace of mind because you know your investment will be better protected, will stay cleaner longer, and will be much easier to clean. We remove surface contaminants and impurities to bring your paint to it's most pristine condition prior to ceramic coating. Ceramic coating bonds with your vehicle's clear coat to create a shield that repels. water, dirt, bugs, tar, and bird droppings. Ceramic coating eliminates the need to wax, and provides superior protection. You will save time and money on maintenance. Paint correction is a process that removes light scratches, swirls, micro marring, and random isolated defects to bring back the depth, clarity, and showroom quality to your paint. It can also bring back the gloss and shine to paint that has become faded or dull. 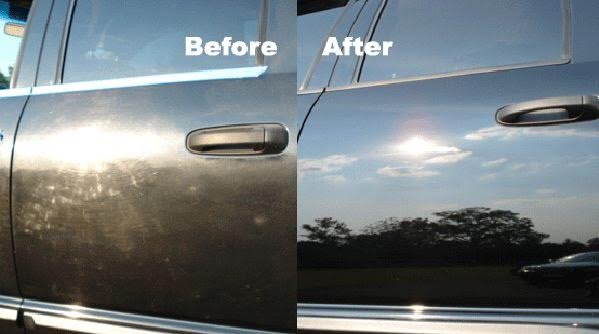 Paint correction will brighten the color and give a better reflection to create that mirror-like quality everyone loves. Our paint correction services include claybar, paint decontamination, polishing, compounding, and multi-stage correction. Does your boat need some attention Lavished on it? We specialize in marine detailing, gelcoat restoration, oxidation removal, and ceramic coating. Marine ceramic coating provides the ultimate protection for saltwater and freshwater vessels. Clean up in a snap. No more scrubbing, ever. Surfaces like marble countertops, shower, and sinks can be kept clean and stain-free with less effort. Wood can be sealed and protected from UV rays and humidity. Ceramic coating will keep your glass surfaces spot-free and streak-free. Tub, tile, toilet, and sink will be protected from residue and build-up and will stay looking pristine for much longer. Light colored fabrics are beautiful to look at, but can be impossible to keep clean. Ceramic coating will help prevent stains and spills from ruining your furniture, upholstery, and textiles. We can ceramic coat virtually anything to keep it protected and looking new longer. Protect leather & suede from stains & scratches. Keep your sneakers, heels, or expensive purses clean and looking new. We even ceramic coat baby items to protect from blow-outs too! Our signature is a detailing experience that goes beyond expectations to deliver outstanding results, every time. We use superior products and techniques specifically designed to safely pamper your baby and make her shine! We go the extra mile to bring on-site mobile detail service directly to you! Give the gift of Lavish! Want To Start & Grow Your Own Business? replace your income, leave your 9 to 5, and live the life you’ve always dreamed of! What is your passion? What is your talent? This is God's gift to the world! I have a passion for helping people follow their own dreams. after starting my own business and growing it enough to leave my medical career to pursue the life I've always wanted. It wasn't easy, but it was worth it! I want to put you ahead of the game by giving you the keys I wish I had when I started. I know there are a lot of people ready to step out on faith and I want to be in your corner cheering you on! If this is speaking to you, get in touch with me. I put together an online course and coaching program especially for you.